English radio DJ and television presenter who hosted the UK's Deal or No Deal, Top of the Pops, and Are You Smarter Than a Ten Year Old? 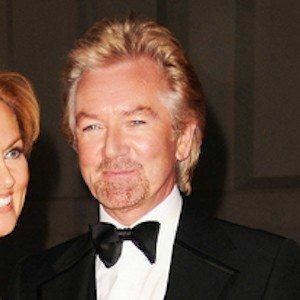 He also hosted Noel's House Party, which ran from 1991 to 1999. He found his first large radio following as the host of The Radio 1 Breakfast Show in 1973. He presented the television shows Top of the Pops, The Late, and Telly Addicts. He was married three times, and he raised four daughters. He married his third wife, Elizabeth Davies, in 2009. He introduced Phil Collins and other performers during the 1985 Live Aid concert in London.